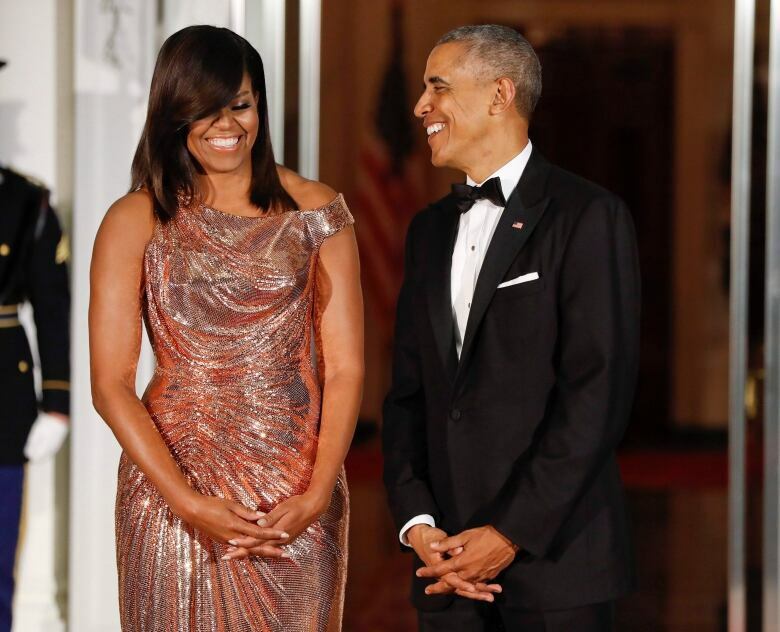 Michelle Obama says she felt "lost and alone" after suffering a miscarriage 20 years ago and underwent in-vitro fertilization to conceive her two daughters — among the revelations in the new memoir by the wife of former U.S. president Barack Obama. Michelle Obama says she felt "lost and alone" after suffering a miscarriage 20 years ago and underwent in-vitro fertilization to conceive her two daughters. "I felt like I failed because I didn't know how common miscarriages were because we don't talk about them," Obama said in an interview broadcast Friday on ABC's Good Morning America. "We sit in our own pain, thinking that somehow we're broken." Obama, 54, said she and her husband, former U.S. president Barack Obama, turned to in-vitro fertilization to have daughters Sasha and Malia, now 17 and 20. "I realized that as I was 34 and 35," she said in excerpts from an ABC special set to air Sunday. "We had to do IVF." The revelations come ahead of Tuesday's release of her memoir Becoming, in which she writes openly about everything from growing up in Chicago to confronting racism in public life and becoming the country's first black first lady. The Associated Press purchased an early copy of Becoming, one of the most anticipated political books in recent memory. 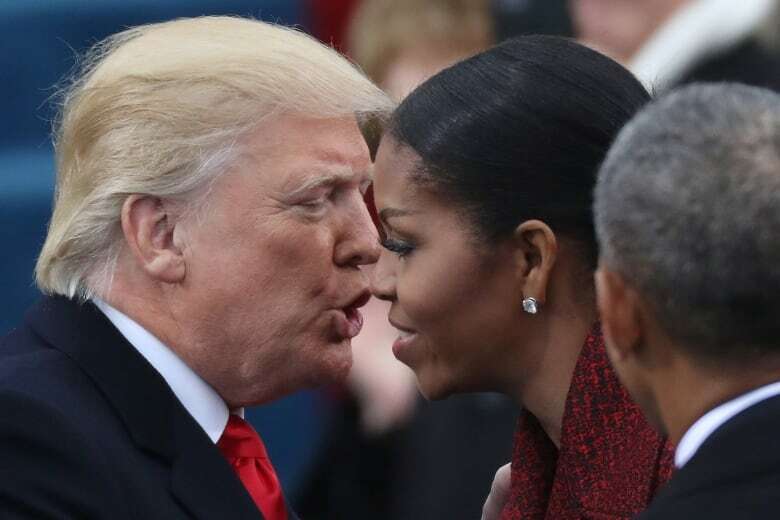 In Becoming, Obama lets loose a blast of anger at President Donald Trump, writing how she reacted in shock the night she learned he would replace her husband in the Oval Office and tried to "block it all out." She also denounces Trump's yearslong "birther" campaign questioning her husband's citizenship, calling it bigoted and dangerous, "deliberately meant to stir up the wingnuts and kooks." Trump suggested Barack Obama was not born in the U.S. but on foreign soil — his father was Kenyan. The former president was born in Hawaii. She expresses disbelief over how so many women would choose a "misogynist" over Clinton in 2016. She remembers how her body "buzzed with fury" after seeing the infamous Access Hollywood tape, in which Trump brags about sexually assaulting women. In her book, Obama also accuses Trump of using body language to "stalk" Clinton during an election debate. She writes of Trump following Clinton around the stage, standing nearby and "trying to diminish her presence." She reflects on early struggles in her marriage to Barack as he began his political career and was often away. She gives a detailed account of her courtship with her future husband — they met when both were at the Chicago law firm Sidley Austin LLP, and she was initially his adviser. Secretaries claimed he was both brilliant and "cute," although Michelle Obama was skeptical, writing that white people went "bonkers" any time you "put a suit" on a "half-intelligent black man." She also thought his picture had a "whiff of geekiness." At times, she feared she was damaging her husband's 2008 presidential campaign, especially after conservatives seized on a line from one of her speeches — taken out of context, she notes — that for the first time as an adult she was "really proud" of her country. 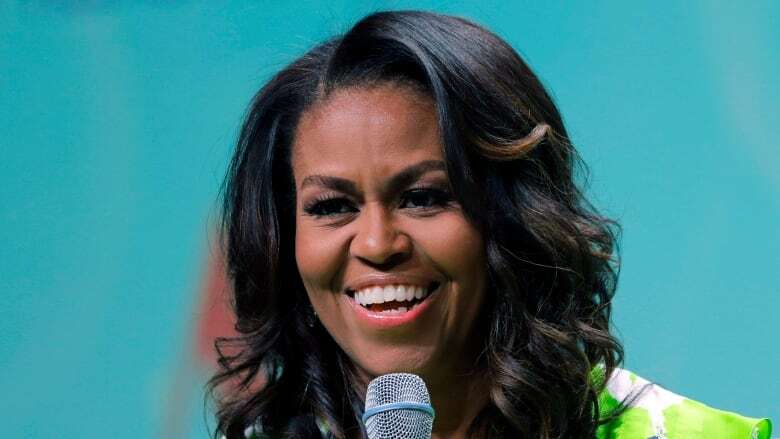 Michelle Obama has long said she has no interest in running for office, although she held a few campaign-style rallies before the recent midterms, urging people to register to vote. The rallies were part of her work as co-chair of the non-partisan, non-profit organization When We All Vote. She launches her promotional tour Tuesday not at a bookstore, but at Chicago's United Center, where tens of thousands of people have purchased tickets — from just under $30 to thousands of dollars — to attend the event moderated by Oprah Winfrey. Barack Obama's memoir is expected next year. The Obamas have said they will donate a "significant portion" of their author proceeds to charity, including the Obama Foundation. An early version of this article referred to Barack Obama as "former husband." In fact, he's Michelle Obama's husband and the former president.